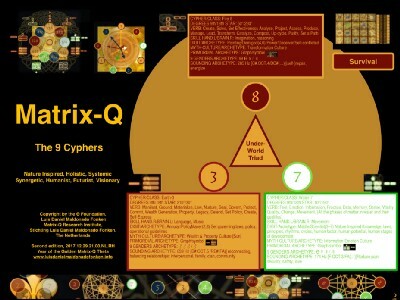 The following images include 3 charts in which the archetypes associated to the 9 cyphers utilized for the organization of natural, human and artificial phenomena in a system of 9 classes. The Archetypes have been generated according to the generation principles described in the “Book of Primordial Changes, The Vessel of the Gods”. In the following 3 charts, images, the archetypes are those generated in 2017. Learn how to utilize the 9 cyphers! Achieve an advanced effectiveness in every aspect of your private life and professional work. 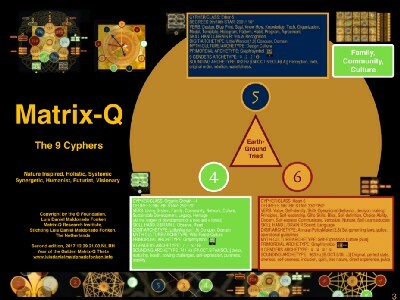 This online webinar will bring you by the essential keys of the 9 cyphers, a foundation set of skills and pragmatic methods that you can utilize if you know the secrets of the 9 cyphers. Through a gamified learning by doing process and multidisciplinary case study, you will learn how to utilize the 9 cyphers. 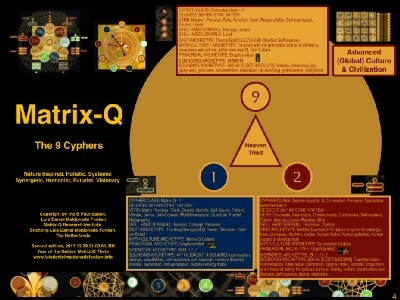 Original Source: The Matrix-Q Magazine, Matrix-Q Research Institute.